With Windows XP already gone, Windows Vista is also gradually approaching the end of it's life. When Windows Vista was initially launched, there was a lot of criticism about the operating system and the web was abuzz with a lot of hate posts for Windows Vista and Microsoft. But all that slowed down eventually and with the launch of Windows 7, Microsoft has gained it's lost popularity. Well, Windows Vista SP1 (Service Pack 1) is now reaching the end of it's life-cycle. 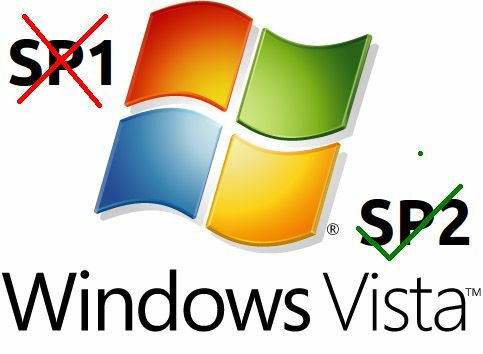 And after two months, July 12 - 2011 to be precise, Microsoft will end it's support for Windows Vista SP1 and all users who are using the SP1 version of Windows Vista will stop receiving any security updates from Microsoft. If you face any problems with the upgrade then you can let us know in the comments section. We will try out best to help you out.